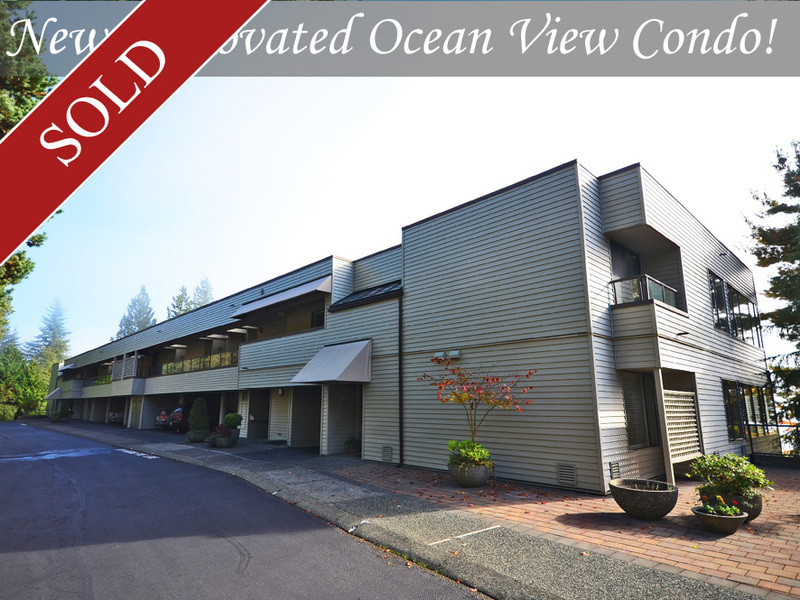 Newly Renovated Ocean View Condo! Enjoy the spectacular view and 500 sq ft private deck from this magnificent two bedroom, two bathroom apartment. It has undergone a complete renovation from the studs up, to the highest quality, with brand new appliances throughout. Many Custom built ins. This is the sought after “No-stair living”, with 2 covered parking spots on same level right outside the unit. The huge patio lends itself to fantastic indoor outdoor living with all the principal rooms opening to the patio and the view.